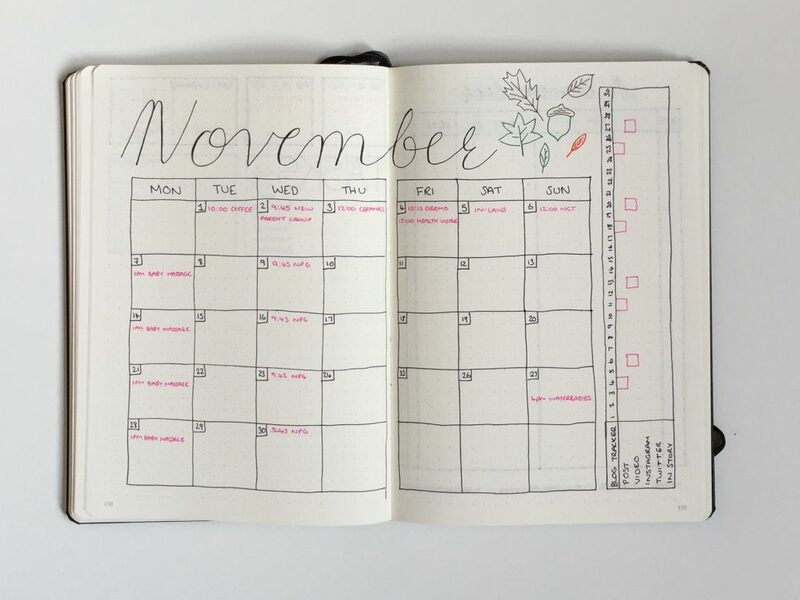 Here’s my November Bullet Journal setup. It feels good to get back to it and try something new. I skipped October because baby Eleanor arrived mid September and I didn’t have time to fill it out – even though we had lots of appointments to keep track of. But now I’m back and I hope to be able to keep using it this month. 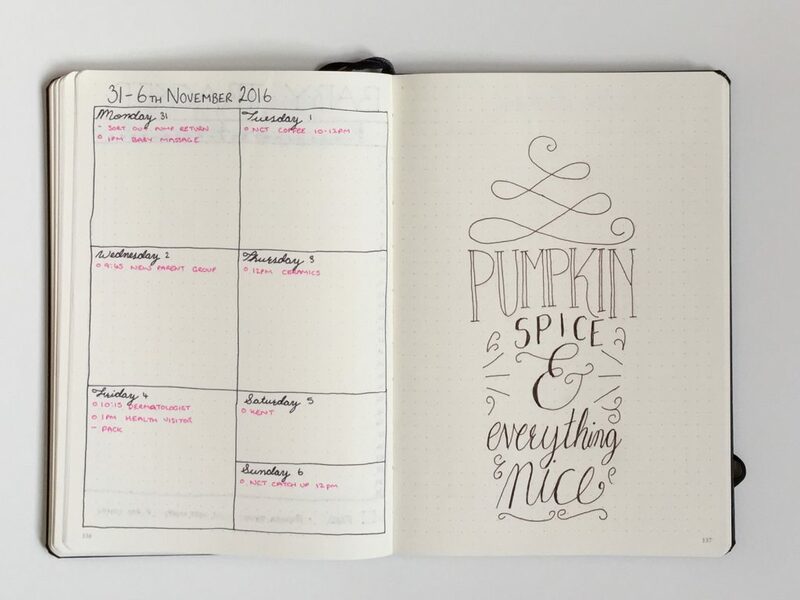 I’ve kept to my simple monthly spread from September as it is so easy to quickly look and see what’s happening. 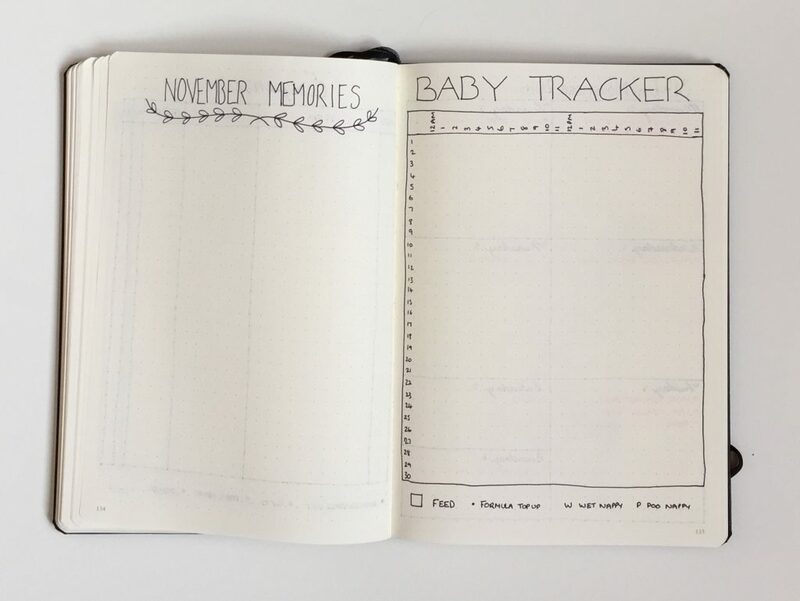 I’ve also kept the blog tracker here as I didn’t get to use it in September. I filled in September’s Bujo pages until the 12th before Eleanor arrived and then it got forgotten about. So I’ve included it here to see how I get on with it and if it’s going to be a keeper. I’ve had expense trackers before and I easily get tired of them and forget to complete them. 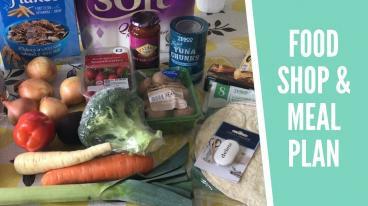 Now I’m on maternity leave and therefore on maternity pay, it’s vital that I keep my spending in check so I don’t spend more than I should. I’ve added a new category along the bottom called baby groups which will include activities for her and also coffee mornings for me. I have been using an app so far to track Eleanor’s feeding and nappies and I go through phases of filling it in or not. It’s the Medela app that I’m using and I find it a bit of a faff as all I want to record is times and not everything else it asks for. So I’m going to give this tracker a go. I’ll add a square on the time (along the top) when she breastfeeds and then if we top her up with formula then I’ll add a dot too. I’ll also a w or p for wet and dirty nappies. I’m trying a new weekly spread this month with boxes for each day filling the whole page. 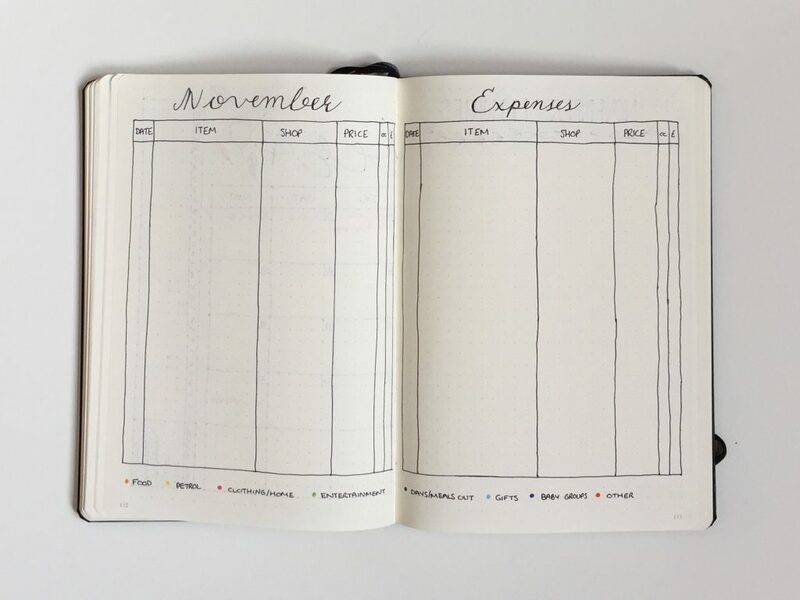 I’m only using a page per week as I know I’m not going to be filling our my bullet journal all the time, I’m not going to be sitting at my desk for 8 hours a day like I used to be. I’m keeping it really simple and it will be stored in my changing bag now instead. 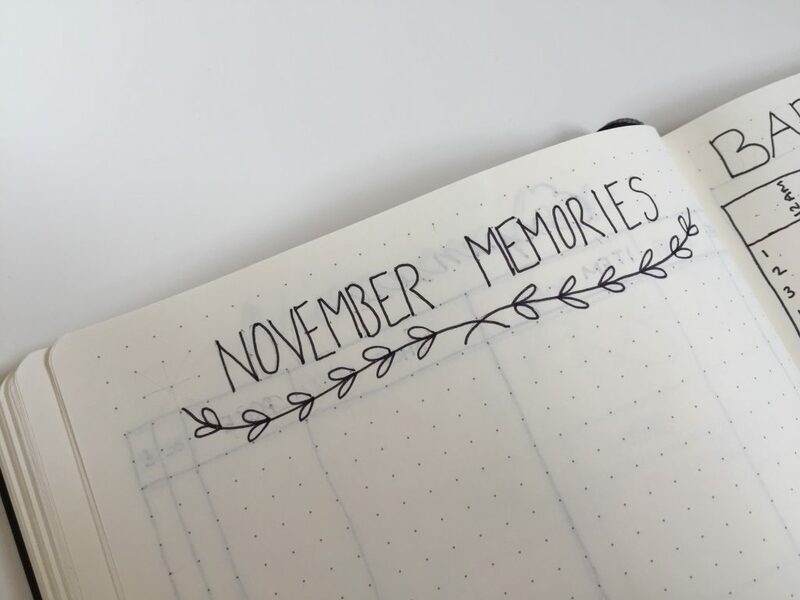 How are you setting out your Bullet Journal for November?